Roll the bones this December with the latest anthology from multi-award winning editor Jonathan Oliver (The End of the Line, House of Fear, Magic, End of the Road). The players have gathered around the table, each to tell their story - often dark, always compelling. Within you will find tales of the players and the played, lives governed by games deadly, weird, or downright bizarre. 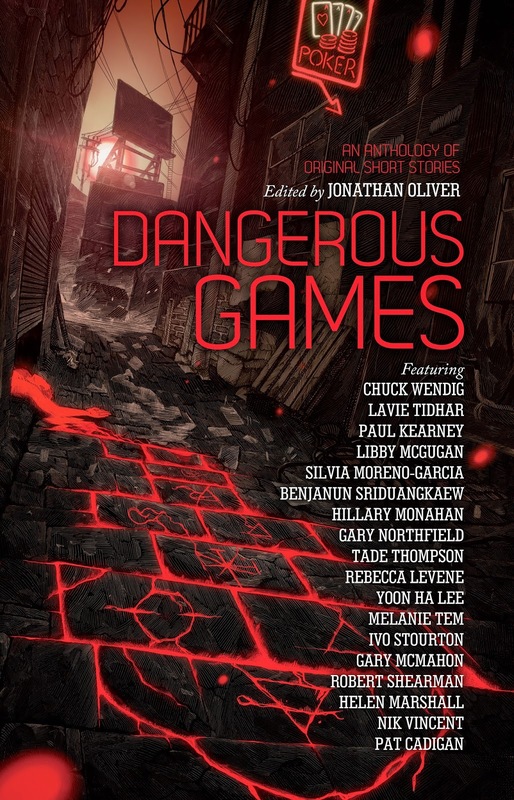 Bringing together tales of the weird and the macabre, Dangerous Games is a diverse collection of voices, featuring incredible new fiction by Chuck Wendig, Silvia Moreno-Garcia, Lavie Tidhar, Benjanun Sriduangkaew, Paul Kearney, Libby McGugan, Yoon Ha Lee, Gary Northfield, Melanie Tem, Hillary Monahan, Tade Thompson, Rebecca Levene, Ivo Stourton, Gary McMahon, Robert Shearman, Nik Vincent, Helen Marshall, and Pat Cadigan. Dangerous Games is out December 2014.